Doctor Who fans world wide have been eagerly anticipating Tiny Rebel Games’ brand new Who themed puzzle game, Doctor Who: Infinity. After the success of their previous game, Doctor Who: Legacy, and the release of their trailer for The Dalek Invasion of Time, the excitement is only growing as the release date closes in. This new gem puzzle style game is quite a bit different from Doctor Who: Legacy in its complexity as well as being more story orientated. The puzzle strategies change as the game progresses and have very chess like qualities. Each story is drawn by a different artist, narrated by a different actor and written by a different author. Tons of former Doctor Who writers, actors and comic artists have participated in bringing this engaging and fantastical game to life. Tiny Rebel Games was kind enough to answer some questions about this exciting new game for Doctor Who fans to dive into. TGT: In your other interviews you have discussed some of the characters we can expect to see in the game, including the classic Dalek villains. Can we expect any new and original monsters created just for the game? What other monsters will we see? Tiny Rebel Games: So far we have 6 stories in production, 4 include known villains, the other 2 stories feature only new enemies for the Doctor to face. However, that’s from a very high level view of the stories – each story has a unique take on those known villains. For example, while the Dalek Invasion of Time is a Dalek story, the heart of that story is a newly created character named Freya, a young girl, not your traditional adversary in a Dalek story. In several of the stories, we’ve tried to lean quite heavily into other aspects of the story which aren’t the enemies the Doctor faces. For example, one of our stories features a seaside town where something bad and alien is happening. However, the story is more about the social pressures in that location at that period in history, rather than focusing on an “antagonistic villain” who the Doctor is matching wits with. TGT: When the game is released on Steam will it be free to download for PC and MAC? Also, I hear the first story will be free and additional stories will be available for purchase when they are released every few months. What price can we expect for each new story and will there be any in game purchases users will be able to use to help them if they feel stuck in a particular part of the game? Tiny Rebel Games: The game will release first on Steam for PC/Mac, with the first two stories going live. Whilst the platform is ‘free’ as is the first third of the first story, it will launch as a bundle with the first two stories. Additional stories will launch throughout 2018, which can be purchased as downloads. When the mobile game launches later, we will let players install just the platform, and the free section of the first story. Then, additional stories will be available for purchase as downloads. That is the only purchase involved in the game — there is no in game currency whatsoever. Whilst we haven’t announced an exact price, we expect it will be approximately $5 per story. TGT: Are the stories going to be progressive? What I mean is, will they get more and more challenging as one goes from one story to another, or will users be able to play the stories out of order without feeling frustrated? Tiny Rebel Games: Our goal for difficulty is that everyone should be able to get through the story. Comic books wouldn’t be as much fun if 50% of users didn’t have the skill to get past the first half of the story. Audio dramas would lose a lot of they were punctuated with huge lapses of time where narrative stops while the user is trying to get through an activity. When you launch the game, all users have to play through the first part of the Dalek Invasion of Time story. This gives a solid base of understanding for the game, and each story starts with that in mind when it comes to deciding how quickly new game play concepts are rolled out. So, to specifically answer you question – the first content everyone plays assumes they know nothing about the game, and gets them to a certain level of difficulty. The other stories start at that point, but while each story has a slight difficulty curve, those users who want more of a challenge can try and hunt down all the achievements in the levels. TGT: Will there be new Steam Achievements for each story, and how many achievements will be available on launch day? Tiny Rebel Games: We’re working this out right now, so I can’t give specifics. However, we are also working on a set of Steam Cards to collect, as well as all the other awesome extras (badges, emoticons) which come with Steam Cards. 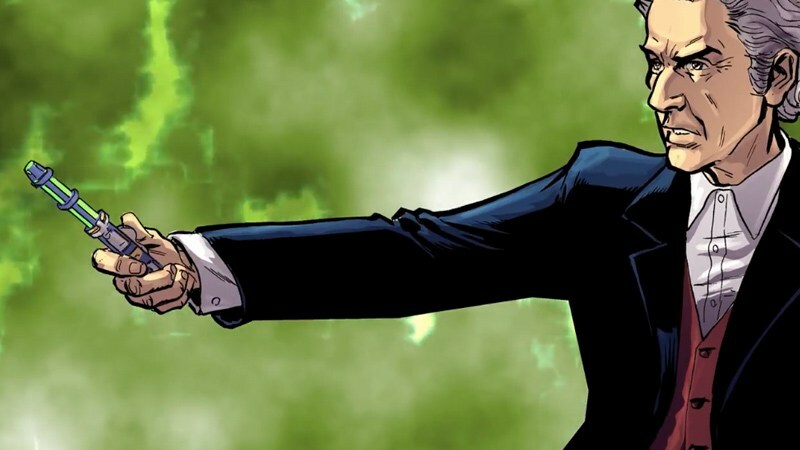 TGT: Best case scenario: If you could have any Doctor Who actor (Television or audio drama) join the cast and lend their voice to Doctor Who Infinity, who would you really love to get into the studio? 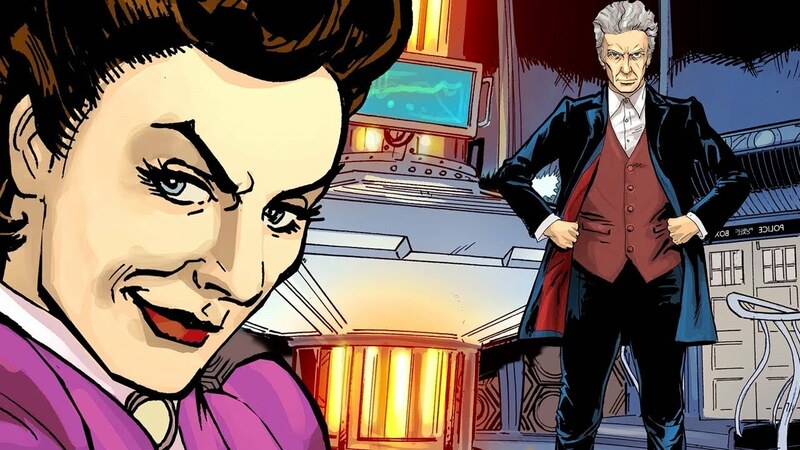 Tiny Rebel Games: The honest answer to that is Michelle Gomez. We’ve been massive fans of hers since the Green Wing days, and have always wanted to work with her. As it turns out, Peter Capaldi wasn’t available for our lead story, so the BBC let us choose anyone who made sense to be the narrator for the story. It’s been pretty amazing selecting actors for the stories. For some of them, we picked the voice before we wrote the story, since we loved their voice so much. TGT: Is this a game people new to Doctor Who, or even users who have never seen an episode, are going to be able to follow, plot/story wise? Tiny Rebel Games: Like Doctor Who: Legacy, this game launches you into a Doctor Who story in the same way as any Doctor Who story tends to – you assume a certain level of knowledge about the Doctor and the world he lives in, and go from there. If you’ve never watched Doctor Who, but like sci-fi and are willing to put the effort in to understand a new fictional world, I think you should no issue with our stories. The Dalek Invasion of Time story is, at the core, a story of loss, grief, and how a young girl deals with that. TGT: Being involved with BBC officially is great but does needing approval for character and story elements ever feel restrictive? Have they ever said ‘no’ to anything? If so, could you share what that was? Tiny Rebel Games: We asked if we could do a Christmas skin for K9 a few years ago, and we were turned down. We’ve made hundreds of requests over the last few years, and that’s the only one I can remember being turned down. For Doctor Who Infinity, we were given a clean sheet of paper, and they said “write a short summary of every story you want to launch with.” Which we did, and they approved everything. Every single other IP holder in the world could learn something important about how to work with external creative teams from BBC Studios. TGT: Lastly, your story is so inspiring. How did you and your partner come up with the idea to start making Doctor Who games and did you ever think Doctor Who: Legacy would ever be as popular as it is? 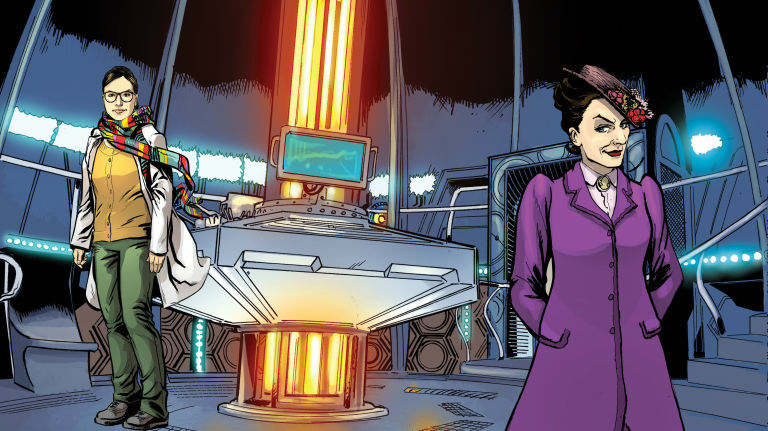 Do you expect the same response or more from fans with Doctor Who: Infinity? Tiny Rebel Games: Thank you — it’s a real privilege to not only get to work on such fabulous IP but also to work with such talented people in the Doctor Who world. Like any game developer, you get so close to what you are creating, that you get quite skittish about unveiling it. You worry you are making a game only for yourself! But then, so much of the best creations happen because the creator just felt compelled to do it, because it is so personal. So when we first showed the game at GDC in San Francisco to press, Susan [Cummings] was terrified really, going into the first meeting. But fortunately, we seem to be on to something – the excitement was tremendous. So while you never know what’s going to happen when you release a game, we feel like we’re in a good place.